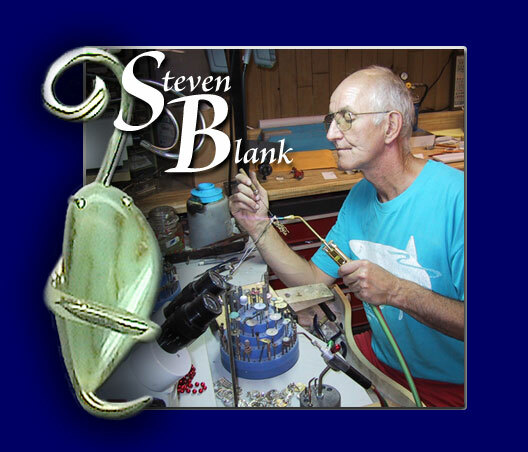 Steven grew up in the Upper Peninsula of Michigan and graduated from Northern Michigan University in 1973 with a degree in Industrial Arts Education. He currently resides in the lovely small Port City of Manistee, Michigan. Steven says, "It all started some 35 years ago when my wife and I decided to make our own wedding bands. After that I taught a few adult education classes in jewelry making. Unrelated to jewelry, we moved to Manistee in 1975 taking a position as the training director for a large corporation. 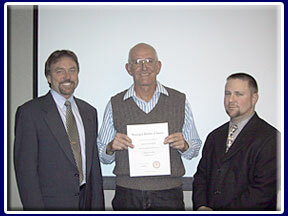 In 1979 I purchased a machinery rebuilding business and operated that business for 21 years. Now, being free, I can pursue the hidden artist in me by creating gold and platinum jewelry with an array of my favorite gemstones. I truly enjoy creating individual and unique pieces of jewelry." "I love jewelry making, it is a passion of mine. I've spent the last 5 years educationing myself in jewelry making and gemology so I can provide up to date and accurate information to my customers. Holland School of Jewelry Selma, Alabama. New Approach School of Jewelry in Virginia Beach, Virginia. My goal is to become very well educated so I can pass on good, honest, reliable information to my customers." Steve can supply people with all their jewelry needs, whether it’s adding a new item to their collection or repairing an old favorite, just like a jewelry store. Steve’s favorite projects are the personal, customized items. He has a selection of diamonds and colored stones and sources for more to highlight an existing treasure or to assemble and create a brand new, one of a kind item.